Hello Disney and Crafty Friends! It is challenge time over at Scrapbook Blessings Club. 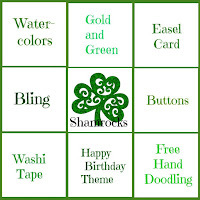 This month we are playing Bingo with our challenge. Head on over here to read all about it. I hope that you will join in on the fun! Our sponsor this month is A Day For Daises. 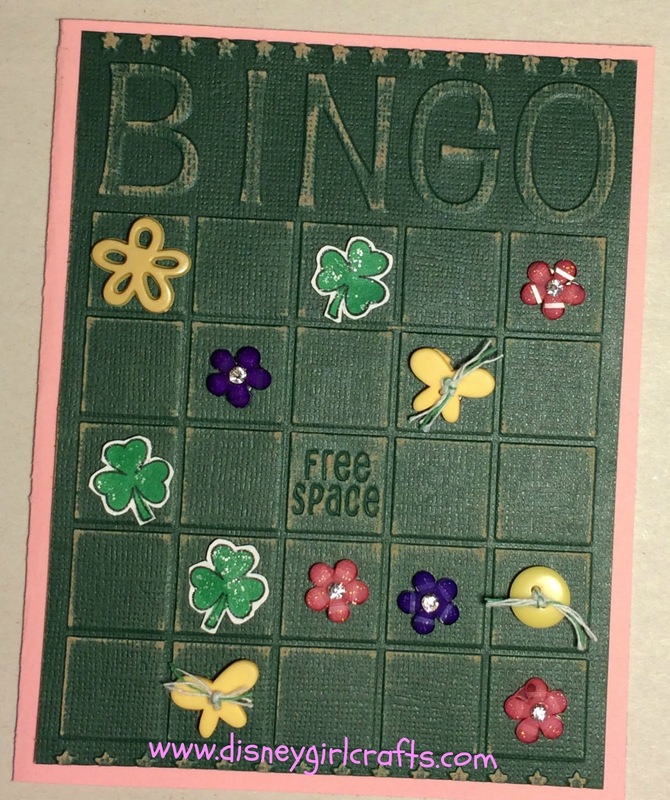 For this challenge I needed to pick a column off of the Bingo card. I went with the middle column, straight across. Bling! 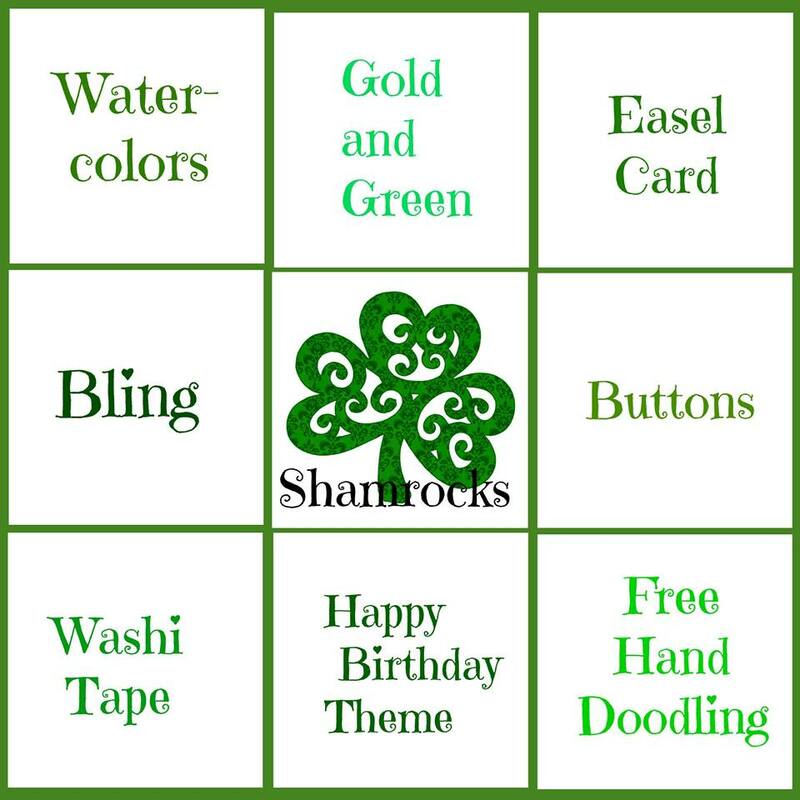 Shamrocks! Buttons! 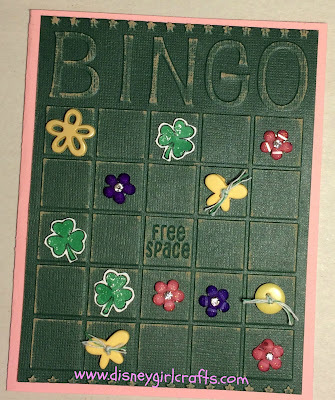 As soon as I remembered I had a Bingo embossing folder I knew that it had to be used for this challenge. I hope that you enjoy the monthly challenge at Scrapbook Blessings Club. Be sure to play along. I would love to see what you create. Thanks so much for stopping by! Have a magical day.